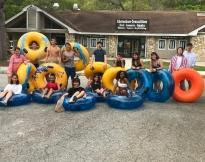 Ms. Valencia&apos;s international students had a great time when they visited and spent several days in Live Oak, Florida over spring break. 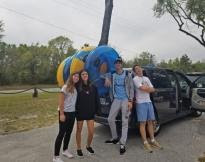 The students experienced the great outdoors, had a blast tubing down the Suwannee River, swimming in the beautiful springs of north central Florida, enjoying an Easter egg hunt and campfires at night, cooking s&apos;mores and listening to great music. Many thanks to the amazing chaperones Ann Collins, Nancy Calderone, Sam Sorenson and Marianne Brownfield. Everyone loved being completely disconnected from their electronics and enjoyed each other&apos;s company. Chances are we will return before the end of the school year!